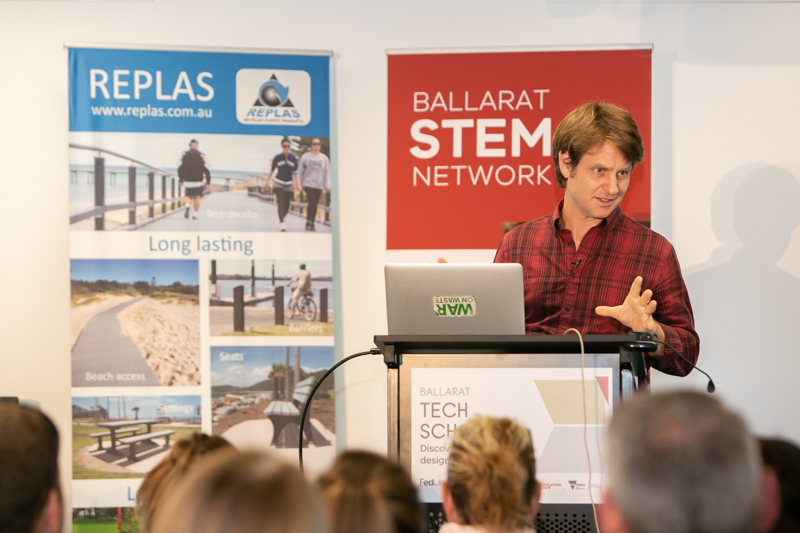 On December 4th, Replas was a guest at the ‘War on Waste Movement, educating for a sustainable future’ at the Ballarat Tech School in Ballarat, Victoria. Craig Reucassel, War on Waste Documentary host, was the guest speaker who referenced Replas as a positive change and small solution to a big problem. 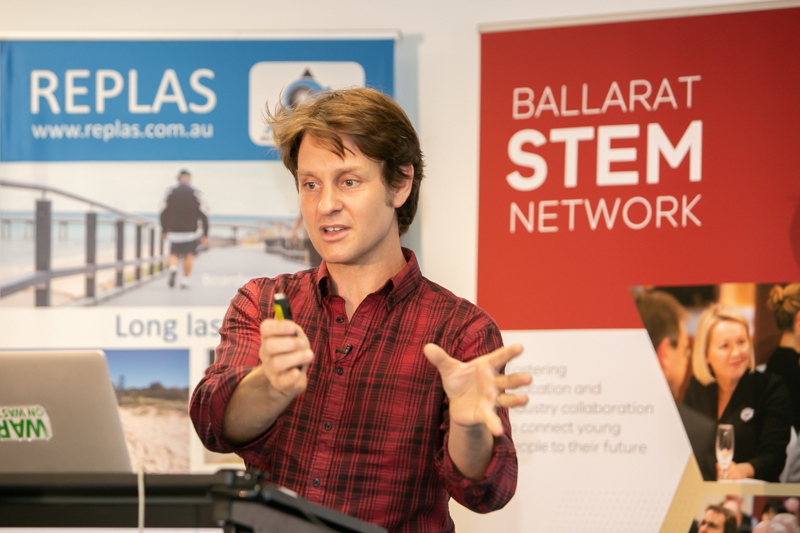 “The message was focused on the importance of critically evaluating each approach to reducing, reusing and managing our resources,” said The BTS (Ballarat Tech School) Team. “The need to understand the ripple effect of each decision or process made and to consider what is the short-term and long term impact of how we manage waste by considering how science, technology and engineering can assist us,” The BTS Team continued. The Replas Head Office and Manufacturing Plant is based in Ballarat, creating a buzz around the room and receiving a great amount of engagement, along with a hands on experience with Replas ‘raw material.’ Craig Reucassel advocated for the need for Governments to change legislation to support the management of waste and for them to be bold in the decisions they need to make on waste to energy processes. Mayor Mckintosh was in attendance with some of her fellow councillors, along with local businesses and representatives and students from the majority of the schools who are signed up to the program at the Tech school – led by Federation University. Replas will be working with The BTS Team again in the new year with great success from this event!